by critics and audiences all over the world! 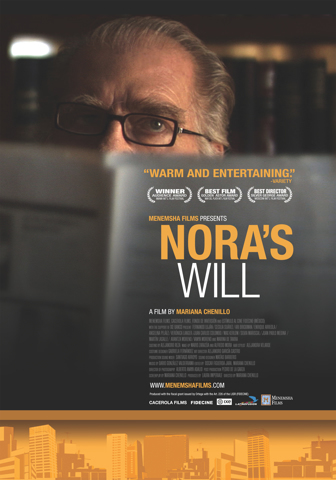 "Choosing humanism over the pitfalls of melodrama and the temptations of the tremendous... first-time feature director Mariana Chenillo shuffles her chips adroitly -- solid, natural acting; no flashy camera movements; no do-or-die conflicts -- to steer her ultimately pleasing plot to a conclusion as tidy as Nora's apartment and as orderly as her posthumous instructions for Passover dinner." Menemsha Films distributes the highest quality art house films, hand-picked from around the globe for discerning film lovers. We set a record, representing five Academy Award nominees, five years in a row.